Thank you Paleophilatelie! A 'Museums' FDC with the bust of Nefertiti. 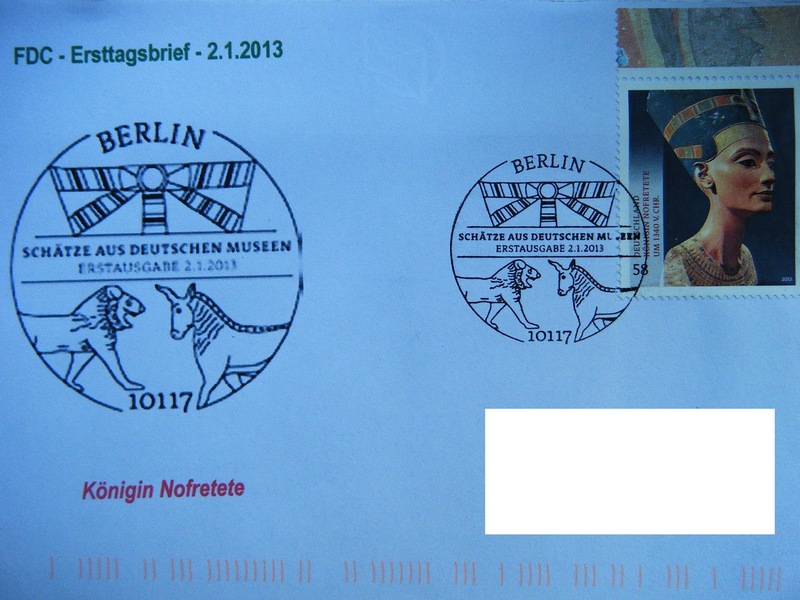 Clearly using stamps to claim cultural property is nothing new. 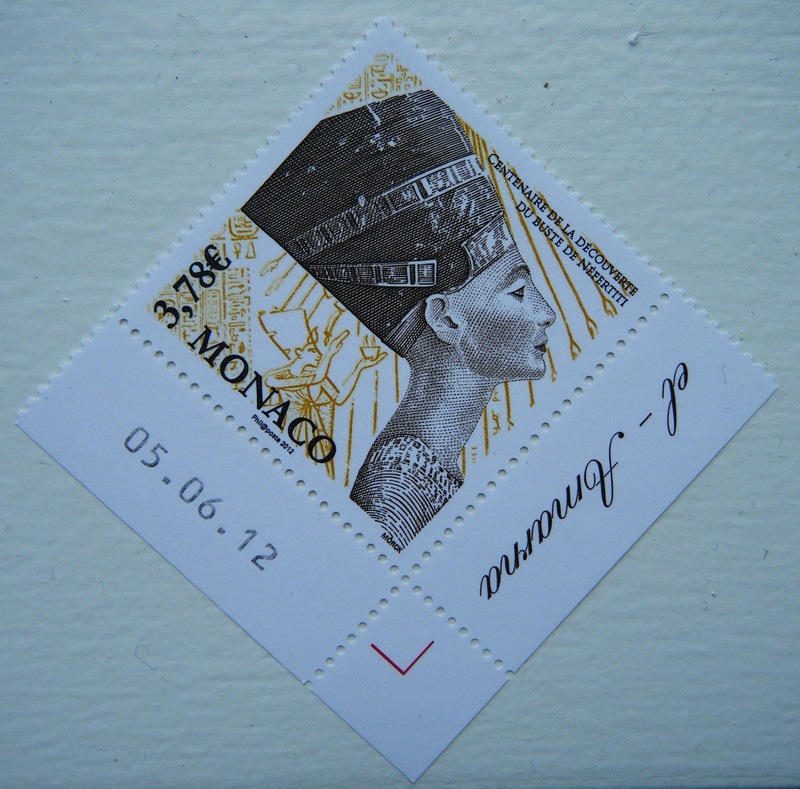 Wonder if Royal Mail will be putting Greece's missing Erechtheion Caryatid or the Elgin Marbles on a stamp next? Thank you Dorothee! Fantastic advertising cancel for the British Museum's travelling exhibit, 'Treasures of the World's Cultures' on at the Art and Exhibition Hall in Bonn from Nov 20-April 1st 2013. This postcard was sent on March 26th, would the slogan cancel have been in use until the last day of the exhibit? Thank you Paleophilatelie! 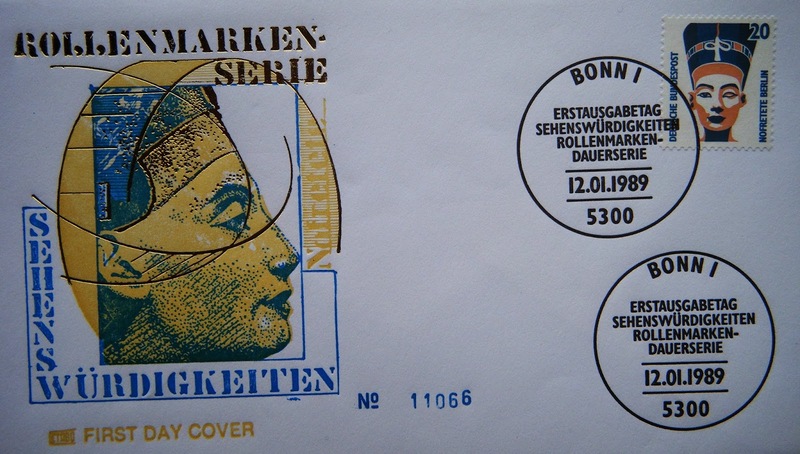 Prestamped cover for the International year of stamps. Thanks Mitchell! 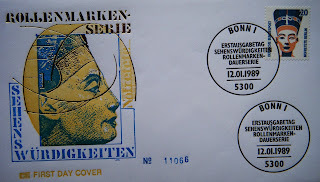 Part of a Tourism definitive set from 1988-9, this stamp was released initially with a 70 pfennig, then 20. 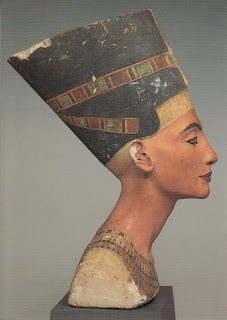 This bust of Nefertiti was famously found by German archaeologists in Thutmose's Armana workshop. It resides in Neues Museum. Thank you for this 1989 FDC, Axel! Thank you Michelle for this postcard from the Egyptian Museum of Berlin. Thank you Axel! Released for the centenary of the discovery of her bust. Issued: October 19 2012.
no problem, I can send it to you. Expect some stamps or covers related to Paleontology.